Home networking is about more than just connecting to the Internet—those wires and Wi-Fi signals are being used increasingly for entertainment. According to market research company NPD Group, U.S. homeowners are flocking to streaming media devices like the Apple TV, purchasing a whopping 6 million players in the second quarter of this year alone. Those figures mean that approximately 17% of homes now rely on streaming media players to watch movies on Netflix, check out last night’s The Daily Show on Hulu Plus, listen to music on Pandora, and enjoy the other great content available. By the end of 2016, that number is expected to grow to 39% of homes. And if the early unbundling trend in cable continues, even that could prove to be a conservative estimate. The most popular streaming media player remains Apple TV, the device that essentially started the genre. Approximately 39% of buyers went with Apple’s box, while 28% chose one of the many Roku models. And Google Chromecast, which lets you stream content from your phone direct to your TV, attracted 16%. Want to get started with streaming media players but don’t know where to start? For owners of Android phones and tablets, the $35 Google Chromecast is a great choice—the inexpensive device simply plugs into your TV’s available HDMI port and you’re good to go. Meanwhile, Miracast receivers like Actiontec’s ScreenBeam offer a dedicated screen casting experience for Android and Windows devices. 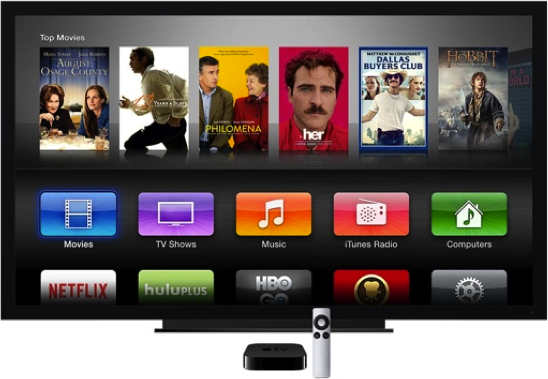 The more expensive Apple TV is a good choice for diehard iPhone and iPad fans because of its mirroring capability. Otherwise, the interface of the $49 Roku is easy-to-use, and its selection of free channels is unparalleled—it feels like there’s always something new on it to discover. These services are already starting to be offered on smart TVs, eliminating the need for an extra box. Later this month, for example, stores will begin carrying a line of televisions with Roku software built right in. Prices for the TVs start at just $229 for a 32” model.